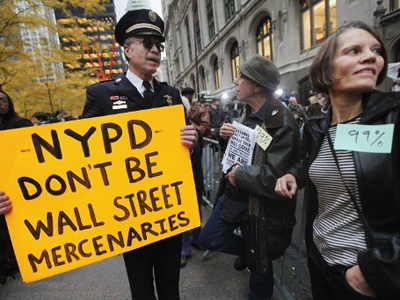 Occupy Wall Street’s mass demonstrations are less visible in public. Their message of wealth and inequality, however, continues to ring in mainstream politics. “I’m saying you’re bringing in a $1 million more a year, then what the rule says that you should pay the same percentage of your income as middle class families do,” said President Barack Obama during a tax fairness speech in Florida. President Obama and other Democratic leaders have pushed to increase taxes on the rich.While encouraged by the message, some activists believe politicians stole it and worry this language does not match their true efforts. “Have we seen a millionaire’s tax?No we haven’t seen a millionaire’s tax,” said Julie Levine of Occupy Los Angeles.“Have we seen the bailing out of Main Street.No we’ve seen the bailing out of Wall Street, over and over again,” Levine added. 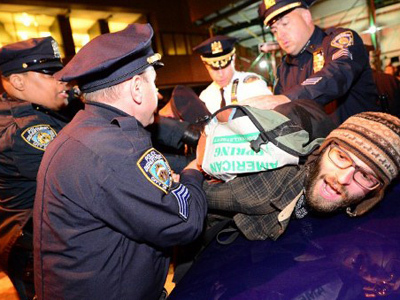 Since its beginnings, conservatives have tried to link Occupy Wall Street to the president. “I think the whole Occupy Wall Street was created to provide President Obama with a major campaign theme,” said Monica Crowley, a Fox News contributor. While Occupy groups have rallied in solidarity with other liberal advocates, the movement has questioned the entire electoral system, and may actually lead to a lower voter turnout for the Democrats. 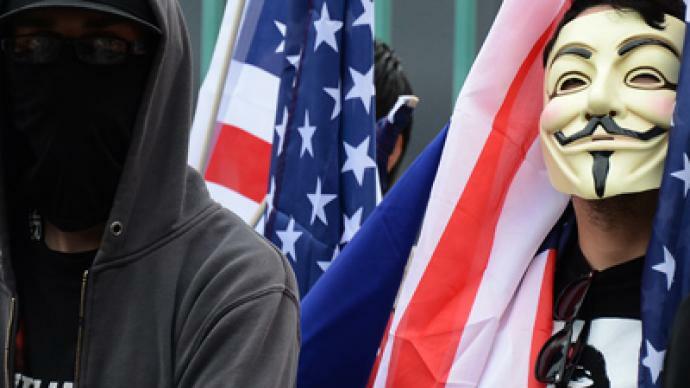 “A lot of people who would have voted for the lesser of two evils, or who were democrats will completely fall out of the system and not care at all,” said Omar Yassi from Occupy Oakland. 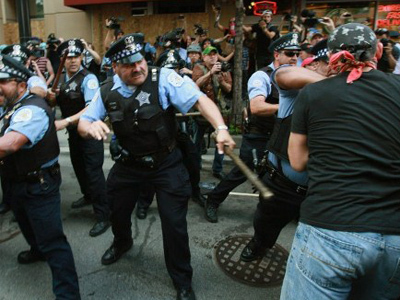 Occupy also has encouraged unions and community groups to become more militant in their acts of civil disobedience. Unions in Los Angeles and other US cities commonly protest against the one percent, a concept which was made popular by Occupy Wall Street.The power of the unions has also helped them mobilize thousands of people to take to the streets. “This is a message to both parties. This is not a message of one party or the other. The time for change is now,” said David Huerta, vice president for the United Service Workers West. Unions have bolstered street demonstrations, but concern in Occupy remains that labor groups, are too deeply entrenched in mainstream politics. “To us that is co-optation,” said Levine. “You cannot be part of Occupy and support President Obama or Romney,” she added. 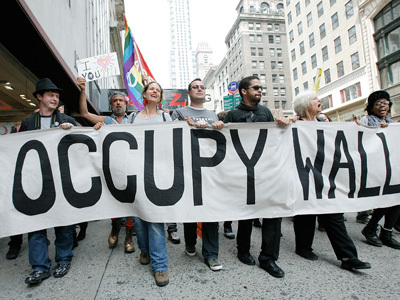 Large marches on banks make news, but members of Occupy still feel more radical action is needed. “The most important thing to change the way things work right now is a movement that doesn’t go home at the end of the day,” said Yassin.“It doesn’t concede power.It doesn’t ask for permission to be in the streets,” he added. As Occupy progresses, there is still debate over how inclusive the 99 percent movement should be. “If organizations like Moveon.org are using our language, that means we’re winning.That’s good,” said Jesse LaGreca from Occupy New York. The fear of the movement and its message being taken over, or diluted, persists. “There is only one force in American politics that will never be co-opted and that is Occupy Wall Street,” said former White House Advisor Van Jones. As Occupy starts engaging in issue-based fights, activists believe their message will win out despite the huge corporate power structures they feel are in their way.